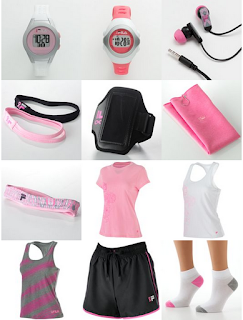 While you are enjoying the outdoor life this summer, do your bit to support breast cancer. 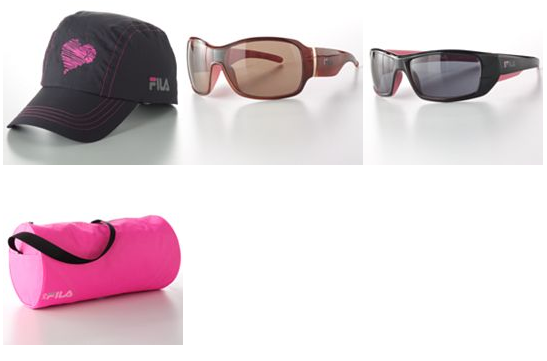 Kohl’s has fashionable sportswear and accessories from the exclusive collection of FILA SPORT® designed exclusively by Kohl's for only $5 and $10 each! You can join the fight against breast cancer by purchasing items from the FILA SPORT collection, all of which are available through the end of July at Kohl’s online at www.Kohls.com, (and at 40 Kohl's stores in Wisconsin). 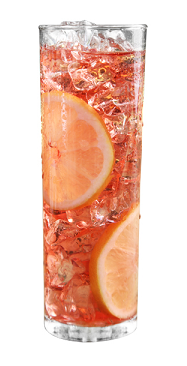 100 percent of the net profit is donated to support the fight against breast cancer. This is wonderful community service, and as you may or may not know, Kohl’s also supports the fight against breast cancer with a commitment of $7 million over three years to the American Cancer Society’s Midwest Division and the Southeast Wisconsin Affiliate of Susan G. Komen for the Cure to support breast cancer research, education and patient-assistance programs. The publishers of "Cooking Light Big Book of Salads" sent me an email awhile back with a very important point: salads are popular with people on diets, but really, with all the toppings out there, you need to ask yourself, is your salad healthy? Their advice is that you should start with 1 ½ cups of fresh mixed greens. Add a tablespoon of your favorite vinaigrette. Then pile on the good stuff. As an example, they sent along the following recipe, which sounded totally incredible and lucky me, I actually had everything in my pantry. Full admission: I used fresh greens from my garden instead of arugula, and added a handful of fresh nasturtium flowers for that pepper-bite. 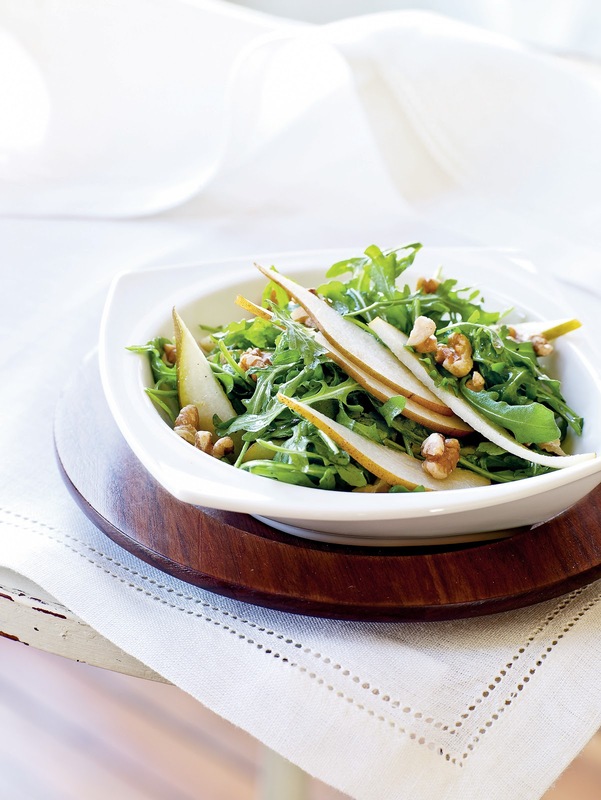 This salad combines the peppery bite of arugula with the sweetness of juicy pears and the earthy crunch of walnuts. If you can’t find Bosc pears, Anjou or Starkrimson are also good choices for salads. 1. Combine first 6 ingredients in a large bowl; stir with a whisk. Add arugula and pears to bowl; toss to coat. 2. Arrange about 11/2 cups salad on each of 4 plates; sprinkle each serving with 1 tablespoon walnuts. 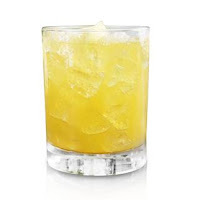 Yield: 4 servings. You can keep your kitchen, and yourself, cool with these recipes from nutritionist Amanda Skrip. Chicago-based Skrip received her culinary training at the Natural Gourmet Institute and continued her nutrition education at the Institute for Integrative Nutrition. All the ingredients for the two recipes below are available currently at the farmers markets in Silicon Valley, and presumably in most other cities also. Procedure: In a small bowl, whisk together lemon juice, olive oil, and a pinch of salt; set aside. Add watermelon, onion, basil, and crushed red pepper flakes to a large bowl. Pour dressing over the salad, and gently toss together. Let marinate for 2-3 hours.Before serving, top with pine nuts and sea salt.. 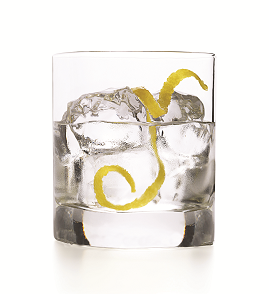 Thanks to the fun and agreeable folks at Voli Light Vodka here are recipes to make you feel oh-so-cool and look oh-so-skinny. 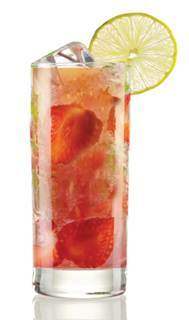 All the drinks are made from the world's first low calorie fruit and fusion-flavored vodka. Voli Light Vodkas are on average 25 to 40 percent lower in calories than leading brands and the natural ingredients achieve the perfect balance of natural fruit flavors and vodka distilled from superior French wheat and pure spring water. Voli is available for purchase at Beverage and More locations nationwide and retails for $19.99. What a great time for families to get out and be active! There is so much to do July 4, 2012 here in San Jose and throughout Silicon Valley. For the fourth year in a row, San Jose Fitness is proud to put together a list of family-friendly events to help you plan a day away from the computer and video games. So pack a picnic and get out with the kids and if you have additional local items that should be featured, send them to FitnessSanJose (at) yahoo.com. Fireworks on Saturday, June 30 and Sunday July 1, but none on Wednesday, July 4, 2012. Santa Clara, CA 95054. (408) 986-5866. Post game fireworks on Saturday, June 30 at the Salute to Armed Forces Night. San Jose Giants -Post game fireworks on Wednesday, July 4 and Thursday, July 5, 2012. Rose, White and Blue Parade - This Rose Garden-area event starts at 10 a.m. with the parade and includes a picnic/festival with live music, crafts booth, and classic car exhibit. Central Park in Santa Clara - Pancake breakfast, picnic, flag ceremony, bands, face-painting and more. No fireworks this year. 7 a.m. - noon - Quinlan Community Center and Memorial Park, there will be a pancake breakfast, flag raising, annual children's parade (strollers, bikes encouraged) and concert. 10 a.m. - 3 p.m. - At Blackberry Farm there will be swimming, BBQ lunch and live music by "The Groove Kings" . 6:45 p.m. - 9:15 p.m. - Come early and bring your picnic to Creekside Park, Hyde Middle School, or Sedgwick Elementary School. Carpooling is encouraged, as parking is very limited. Family 4th of July. Hula Hoop contests, games, live music and all-American barbecue. .
1910-style Independence Day celebration including parade, games, crafts, live big-band music, living history demonstrations, historic speeches and flag-raising.